We’re having a sale this week, offering our new Brazen Heart Live at 50% off with a Greenleaf subscription. 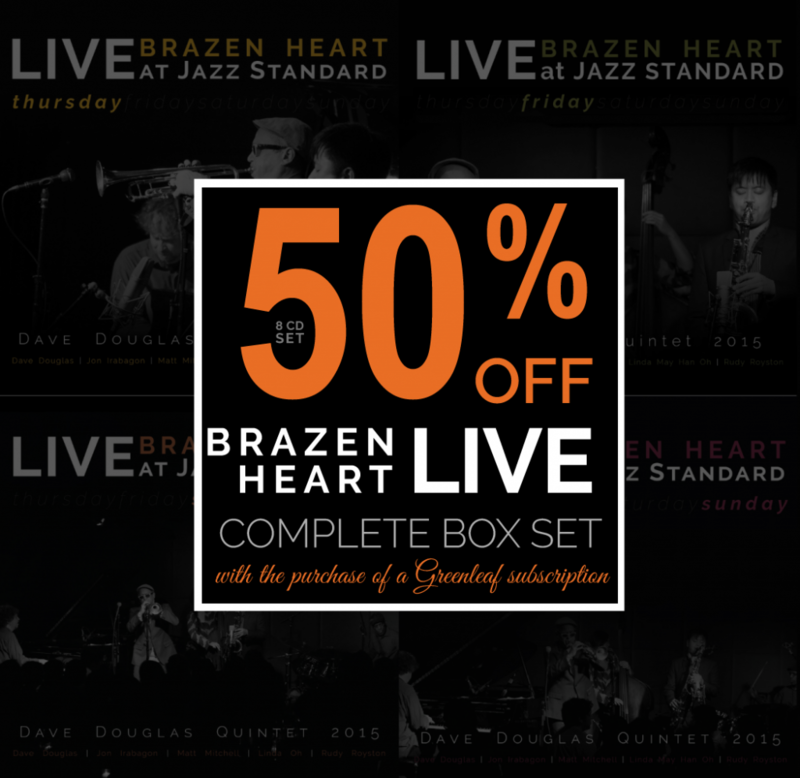 Join us as subscriber before November 23, and we’ll send you a discount code for 50% off the Brazen Heart Live at Jazz Standard box set, the newly-released 8 CD box set featuring the blazing Dave Douglas Quintet. 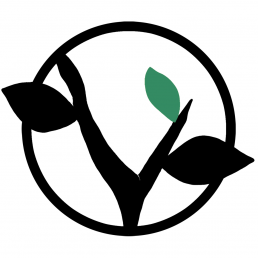 When you sign up for a subscription, you gain access to our entire catalogue (60+ releases! ), as well as our exclusive subscriber materials including bonus tracks, live sets and our unique set of series such as Serial Sessions, New Sanctuary, Metamorphosis, UPLIFT and more. Everything is available for streaming and download via the Bandcamp app. It’s super cool. And Brazen Heart Live is hot off the presses, so grab your box set – 4 nights, 8 CDs, 48 tracks – performed live at Jazz Standard in New York City. The Dave Douglas Quintet, featuring Jon Irabagon, Matt Mitchell, Linda May Han Oh, and Rudy Royston, was finishing up an extensive tour, so they’re in top form and sounding great. We hope you’ll subscribe and support our community of artists! Offer ends at midnight on Thursday, November 22.